Infectious diseases, such as salmonella, are a minimal concern among Indiana’s nursing facilities and other environments for long-term care. America’s Health Rankings adds that the state has lower education-based health disparity compared to many states. The lack of physical activity among adults in Indiana decreased 3.3% from 2012 to 2013. Still, Indiana got the 41st place in America’s Health Rankings due to some serious health concerns. It has one of the largest populations of smokers in the country with over 1.1 million adults who use tobacco frequently. More than 1.5 million adult citizens reported obesity. Furthermore, diabetes affected around 500,000 adult individuals who may need some form of long-term care. The relatively poor air quality, ranked 49th by America’s Health Rankings, also concerns the state’s inhabitants. Exactly 20% of Indiana’s adults lacked insurance coverage for health in 2011. According to AARP Indiana, formerly known as the American Association of Retired Persons, 1.3 million state residents became involved in unpaid care for family members and other loved ones in 2011. Below are the average daily cost* of long-term care services in Indiana. On October 28, 2013, MedAmerica began to oversee changes to its FlexCare long-term care insurance policy. The changes involved marital and preferred health discounts. In addition to discount modifications, FlexCare also saw the removal of its credit card payment option. Genworth announced that its minimum Partnership LTCI rates in Indiana would remain at $115 daily and $3,500 monthly for January 2014. However, the minimum rate for the insurer’s Total Asset Protection option would be $305,603. Indiana was one of the four states that initiated the Long-Term Care Partnership Program during the 1990s. The state created a hybrid Partnership system that provided two options for policyholders. One option offered a dollar-for-dollar asset protection for those who bought policies with at least a year of LTCI coverage. The other option gave total asset protection for those who purchased policies that met the lower limit of the value of benefits. The federal government allowed Indiana to take part in the National Reciprocity Compact on April 1, 2009. This enables Indiana residents who bought Partnership policies to qualify for dollar-for-dollar asset protection when they move to another Reciprocity state. Prospective LTCI clients may buy policies from Allianz Life, Bankers Life, John Hancock, Mutual of Omaha, New York Life, Northwestern, State Farm, Transamerica, and UNUM Life. Medicare comes in four options to suit particular care needs. Part A covers skilled nursing facility care and some home health care. Part B involves care services, such as therapy, and health supplies. Part C, also known as Medicare Advantage, pays for services from a care provider that can help Part A and Part B clients. Part D aids in getting the necessary medications. Medicaid, a state and federal government program, pays the care services of households that are eligible under the Federal Poverty Guidelines. Indiana declined the move for expanding this health program to more residents. One of Medicaid’s affiliate programs in the state is the Healthy Indiana Plan (HIP), which helps adults ages 19 to 64 who cannot qualify for Medicaid Package A. On July 2, 2014, the Indiana state government proposed a Healthy Indiana Plan 2.0 that would eventually replace the state’s traditional Medicaid upon approval. The Healthy Indiana Plan 2.0 features greater client participation with their options for care. With the Indiana Pre-Admission Screening Program (PAS), older adults in the state can look for alternatives to nursing facility-based care if their health permits it. Provides resource links for people who necessitate long-term care. 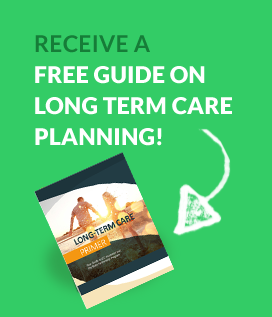 Offers an extensive guide to LTC facilities, a facility locator, and a support tool for care setting choice.